Someone gives you a business card. You’re thinking about giving the person a call. But before you do, you go to their website. Just to “check them out”. Then what happens? Well, either you’re impressed, or you’re not, right? If the website meets your expectations, you give them a call. If not, somehow that business card lands in the wastebasket. Other people do the same thing to you! 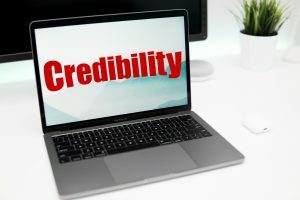 Your website is your credibility. If you’ve been thinking your web presence is a good place to save some money, that can be a costly mistake! Even if you never plan on selling online or even having Internet marketing be a big part of your business, how your website looks is going to have an impact on your business. At Cool Web Tech, we think a good looking website should still be affordable. If you are ready to improve your credibility, click here to contact us now.